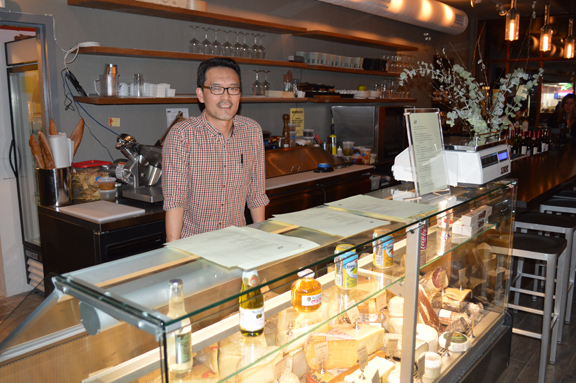 One of the more interesting conversations I had while in New York last week was with veteran cheese monger, Chung Park (above), who recently opened a new cheese bar on Atlantic Avenue in Brooklyn called Pair (no site but you can find details on his Yelp). We were tasting my client La Porta di Vertine’s Chianti Classico — a wine that falls squarely on the traditional side of the modern vs. traditional spectrum. Even though he says he’s new to wine tasting, Chung is one of those naturally gifted tasters who — at least in the flight of roughly six wines we tasted together — doesn’t get caught up in painful self-awareness or affectation. As we tasted together, we talked about the clichéd differences in the wine world between old school and new. And he said something that was as entirely unexpected as it was wholly brilliant. In the cheese world, he noted, you don’t really have this divide. 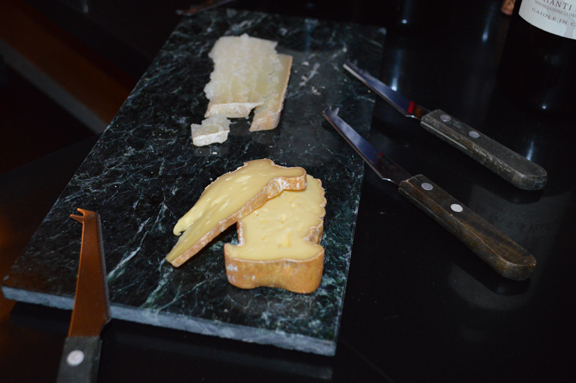 “There is no ‘modern vs. traditional’ pecorino,” he said wryly. As we munched on some Latium pecorino and Von Trapp cow’s milk oma (yes, the Von Trapp family) paired with our Sangiovese, I reveled in the notion of a world without an old world vs. new world dialectic. In the last four decades, wine tastes and winemaking philosophies have oscillated radically and often with breakneck speed. The cheese world, it seems, is free from yoke of post-post-modern critical and commercial subjugation. I’m sure the truth is more nuanced than my reductive take on it. But wouldn’t it be nice if the wine world had glossed over and glided through the era of modernization? I really liked Chung and his cheese bar a lot. Brilliant guy, great palate. I’ll be rooting for his new place, Pair.